"Hamilton" - which transferred to Broadway following a sold-out run at The Public Theater in NYC - is the acclaimed new musical about the scrappy young immigrant Alexander Hamilton, the $10 Founding Father who forever changed America with his revolutionary ideas and actions. During his life cut too short, he served as George Washington's chief aide, was the first Treasury Secretary of the United States, a loving husband and father, despised by his fellow Founding Fathers, and shot to death by Aaron Burr in a legendary duel. 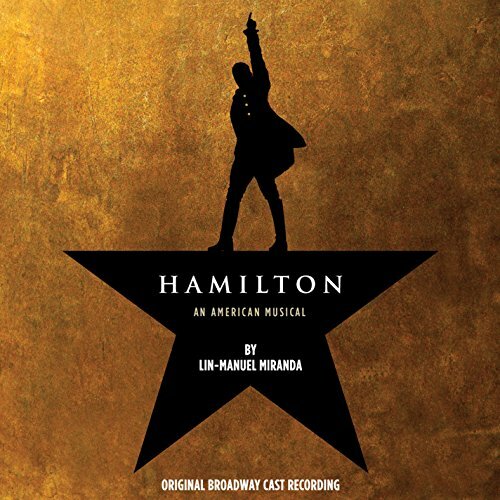 The "HAMILTON (ORIGINAL BROADWAY CAST RECORDING)" is executive produced by Ahmir "Questlove" Thompson and Tariq "Black Thought" Trotter, founding members of the Grammy Award winning hip-hop band, The Roots. "HAMILTON" has book, music and lyrics by Tony and Grammy Award-winning composer Lin Manuel Miranda, who also plays the title role. The musical is directed by Thomas Kail, with choreography by Andy Blankenbuehler and music direction and orchestrations by Alex Lacamoire. "HAMILTON" is inspired by Ron Chernow's biography "Alexander Hamilton."